I’ve had Philadelphia Distilling on my mind. And in my tonic. A lot. This gin is a treat and its time I discuss some of its finest traits coming from a Juniper loving Gin Girl perspective. 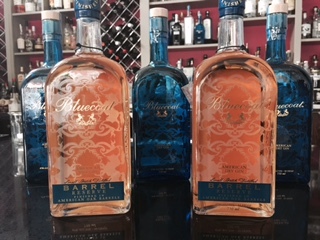 I discovered Bluecoat gin while slinging drinks in D.C. primarily using it in cocktails calling for a bold citrus gin. Stunning packaging and product invite you to want to know more. So that’s exactly what I did. I drove up to the distillery and I learned everything there was to know (well not everything) about this small-not-small distillery in the heart of Philadelphia. For starters Bluecoat Gin shares a beauty of a pot still with all of the other spirits in the Philadelphia Spirits portfolio; for now. Rumor has it is they are building a larger facility with at least 3 pot stills for their growing distribution. 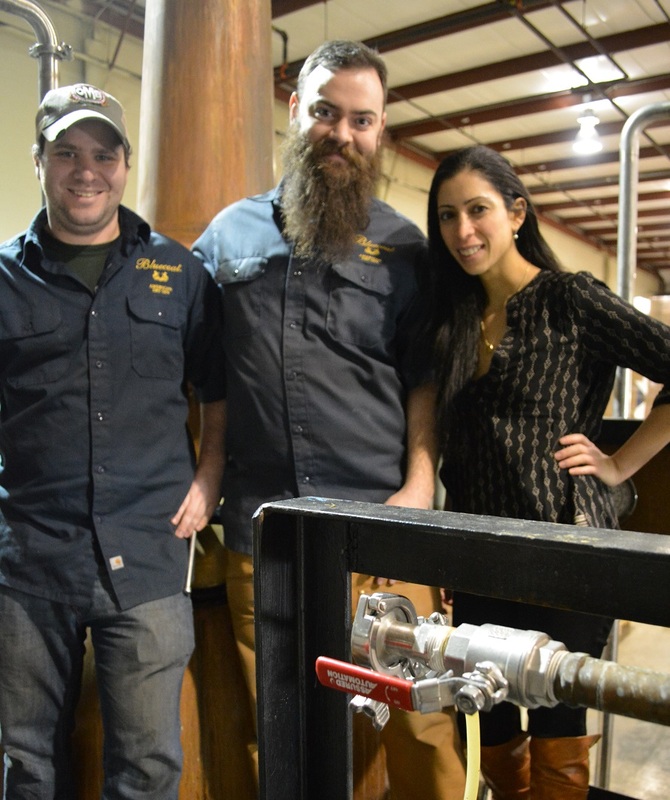 I also had the pleasure of meeting the distillers, Mr. Aaron Seyla and Bill Tambussi whose charm and humor combined are enough to keep you entertained on your distillery adventures. 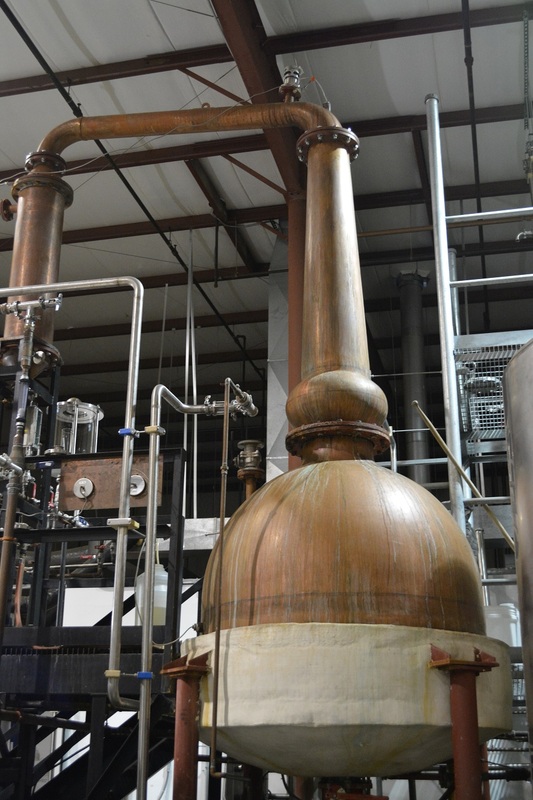 And when I say adventures – I mean distilling Absinthe! When I arrived at the distillery Aaron and Bill were preparing to distill their Vieux Carre Absinthe and asked me if I would like to give them a hand. What?!?!?! Dreams can come true! Bluecoat’s anise fragrant sister Vieux Carre rocks an attire of anise, fennel and wormwood (Not spilling any secrets here!!!) and the opportunity to get my hands dirty in botanicals was more than a treat. So was the team. Humble. Open. Embracing. But now to the Gin. Take time to sip Bluecoat straight and you’ll experience a double treat. Crisp on the front and warm spice notes on the finish. From the bottle, soft fragrant nose of coriander, mellow orange peel and slight notes of fennel/licorice. The nose reminds me of the smells lingering in a distillery hours long after the batch has fired. Pour into a glass and the nose opens up into a crisp citrus bouquet of lemon, lime and orange with coriander lingering in the background. Bluecoat is a mixed bag of flavors. Some detect the pepper and strong body at the front, while some hail it a dessert gin noting the soft orange fruit finish. Crisp bright citrus and pepper with notes of juniper and coriander in the first sips, allowing a longer warmer spiced finish with notes of candied orange and lemon. Don’t be fooled by the pretty packaging, this gin is bold and complex and demands attention. 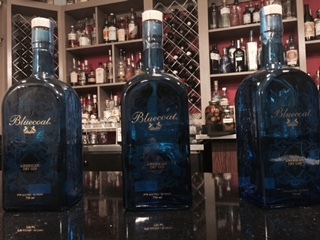 Look for their new Barrel Aged Bluecoat Gin hitting your market soon! The bottles are gorgeous. Can’t wait to review! 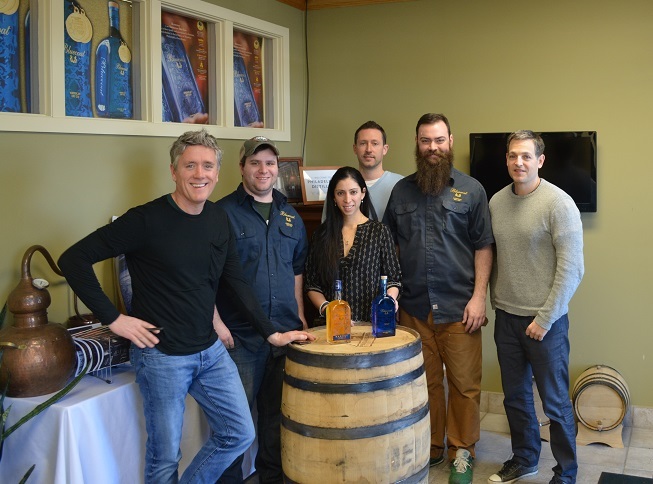 This entry was posted on Wednesday, April 15th, 2015 at 3:52 am	and tagged with American Dry Gin, Bluecoat Gin, Gin Blog, Juniper, London Dry Gin, Natashas Gin Room, Philadelphia Distilling, The Gin Girl, The Gin Room and posted in American Dry Gin. You can follow any responses to this entry through the RSS 2.0 feed.